Circle K - Fueling our Schools! Fuel-Up at Circle K to Support Northwood! This year, show your Northwood pride by fueling up at the Circle K at 4562 Woodville Rd! 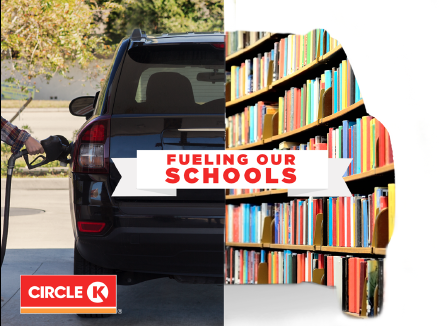 As part of Circle K’s “Fueling Our Schools” campaign, one-cent of every gallon of fuel purchased at this location’s specially-marked fuel pump will be donated to our school (up to $2,000 per year!). On special “Fuel Up” Nights, we have the opportunity to make an even greater impact. On these nights, 10 cents of each gallon of fuel sold at our designated Circle K will be donated to the school! The first Fuel Up Night is on Nov. 16, with a special event taking place from 3-8pm.